As I mentioned last week, this training season for Chicago Marathon has been rough. And I’m not feeling like it’ll be a strong race for me. I think I’ve run enough marathons to have a good sense of what I can expect from my body. While I don’t think I’ve gotten strong enough physically, I feel like my brain has been working against me, so I’ve been working on looking at the positive aspects of this upcoming race. Because otherwise, I fall into thinking, “Why bother?” with completing the race if I won’t PB. And that is not the right mindset when running 42.2 kilometres! Chicago Marathon is where I do well racing the 42.2k distance. I’ve run it twice before (in 2017 and 2014) and these are my two fastest marathons (and that’s even with the intense heat we had for 2017’s race). I remind myself of this all the time. 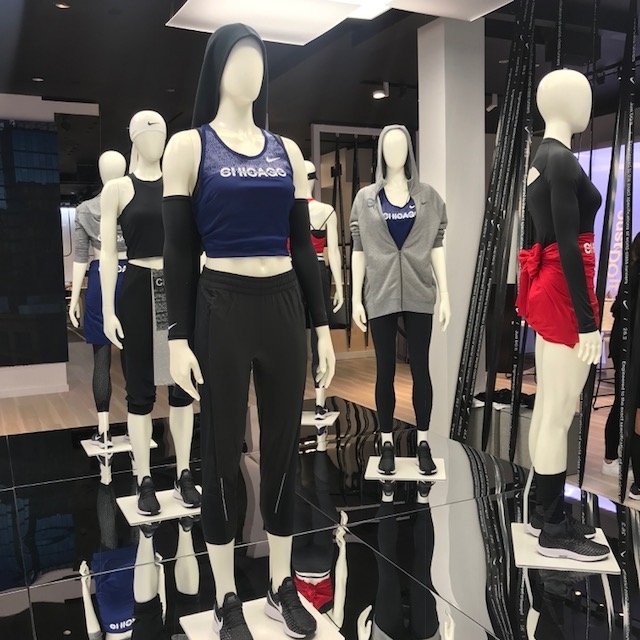 I discovered NRC Guided Runs thanks to Nike Run Coach Brittany Moran adding a few to my training sched, and they’ve improved treadmill training by making them less boring. I avoid the treadmill as much as possible as I find it about as dull as Outlander (don’t @ me) but having the coach talk me through each interval in the NRC Guided Speed Runs helps to break up the workout nicely. The one with Kevin Hart and Coach Bennett (remember when he told me I needed psychiatric help for running two races one week apart, haha) had me laughing. I’m getting better at replacing dreading runs with being grateful. When Nike Run Coach Brittany Moran heard I dread each long run, she reminded me that a lot of people aren’t able to run, and I know how awful I feel when I’ve been told to lay off of running (due to issues like my formerly overactive thyroid, or not being able to wear contact lenses).While those long runs in nearly 40 Celsius weather this summer have been grueling, I am thankful to be injury-free and physically capable of completing runs short and long. “To be honest, I’m jealous,” said a friend who’s taken a break from running about me running Chicago. I now think “fun” not “fast.” In the NRC Guided Run Run with Mo, Mo Farah instructs you to think not about going fast, but having fun, I now make a deliberate effort to think that when I do speed work. Rather than repeating, “This is freakin’ brutal and my heart feels like it’s going to explode and I can’t possibly run harder or faster,” I think “Let’s have more FUN.” I can’t say it works entirely (it still hurts to push hard through a tough workout and I know I really just need to try my best to hit the pace I’m aiming for), but thinking “fun” helps to shift my focus into a more positive space. Running gives me quality time with Billie Jean. I’ve been mostly training solo, which can be draining. But with my work schedule and travel, and with me not being a morning person (which is when most run crews run), the flexibility of running solo is often what works best for me. To help me make it through long runs, I usually run 22k alone and then pick up my dog, Billie Jean, for the last portion of my run. She’s run as long as 14k in the past with me, but with the intense summer conditions, I limit her distance to be on the safe side. A friend who’s completed Ironman gave me a little pep talk the other day, too. She reminded me that even if Chicago 2018 isn’t my best marathon, it’ll help me prepare for future marathons, I can use it as an opportunity to experiment (whether I want to use a pacer or not, for example, in future marathons when trying to BQ) and that even if it’s not my best time, I’ll know what my current marathon time is to gauge my fitness level going forward. And last but not least, she reminded me that I may just surprise myself and it’s possible that every element comes together (nutrition, rest, weather, gear, mental state and crowd support), and I may just BQ. I may BQ. It could happen. After all, in 2014, I was less than two minutes from BQ-ing and I totally didn’t expect to finish with that time (I’d anticipated finishing about 13 minutes slower!). Plus, I have an excuse to go get a killer manicure again. It’s only a crazy dream until you do it, after all. That’s what I learned at the Just Do It HQ Chicago I visited last week. 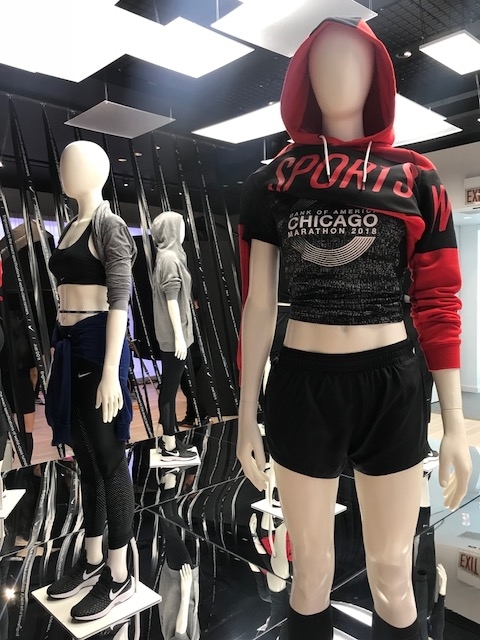 And besides, PB or BQ or not, there is some very rad Chicago Marathon Nike gear this year. 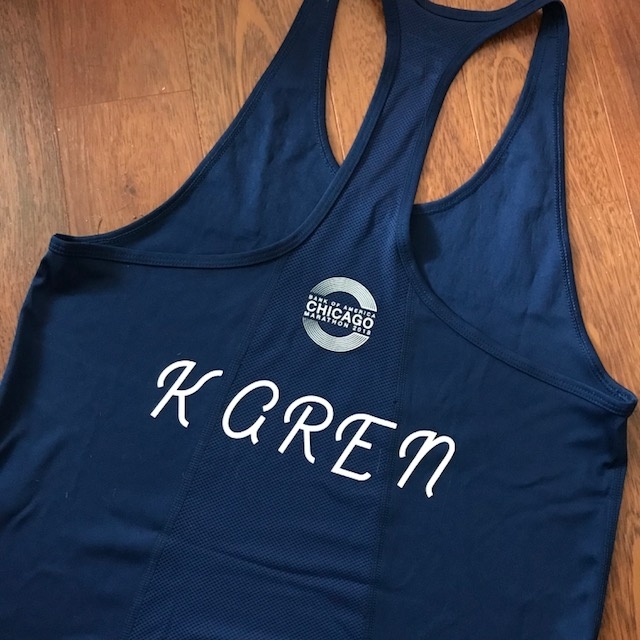 Also, while at the Just Do It HQ last week, I got the chance to customize a Chicago Marathon tank, which I will wear proudly after the race (once I’ve earned it!). Stoked to run the Global Energy Race by Dempster’s 10k again this year. If you recall, I had a blast with my friends in last year’s race. I may bring Billie Jean this year (dogs can take part in the 3K family run/walk, btw). I’m hoping the weather is not as insanely hot and humid this year, and that I don’t have an awful cold again (check out my race recap from last year here)! Need more incentive? If last year was an indication, there’ll be loads of snacks at the finish! Hope to see you there! Register now to take part in a good cause (for every kilometre completed, Dempster’s is donating two slices of bread to the North York Harvest Food Bank). Also, be sure to use the code KAREN for $10 off of your registration!